What has company culture got to do with strategic planning? Company culture plays a more significant role in strategic planning than some people realise. Managing directors and team leaders need to ensure there is clarity regarding expected behaviours of employees. Most employees want to contribute to the long-term success of the business but how you get there is just as important as the end goal as Mike Gaffney explains. Definition of strategy by Oxford: a plan of action designed to achieve a long-term or overall aim. The word strategy frightens some business people but strategy is simply a game plan. This plan is a road map to secure your future. Strategic planning and company culture go hand in hand. The plan must address what sort of culture you will have in the organisation for it to be successful. That should be a key part of the plan in order to build a better future. A culture is the collective way that the organisation works both internally and within the marketplace; it is how we behave. In developing your plan for the business, the strategy will be driven by the people in the organisation, in other words the success of your strategic plan depends on the kind of company culture you create. The answer is our values. These are the attitudes and beliefs we have that influence our behaviours every day – honesty, integrity, authenticity, passion, commitment. Behaviour is also driven by our ambition to be successful and our need to feel significant and relevant in what we do. All of these things make up the culture of an organisation. The strategic planning challenge then is how to tap into the key motivations of individuals within the organisation. For example, a company may have a clear set of compelling values like honesty, respect, support, innovation and a can-do attitude. This is their reference point; it’s what they hire and fire by. Teams within such organisations are not focused entirely on profit margins but they also want to know if they have a long-term future with the company. Do I respect the company values? Do those values protect me and help me progress and feel respected within the organisation and within my team? In relation to the company’s vision and mission, culture is what will drive engagement in the workforce. All the planning in the world will fail if the plan does not outline how you are going to engage the workforce and make them feel valued. So creating the right organisational culture is pivotal to the planning process. The plan will contains goals, objectives and tactics but without a culture of engaging the team the plan will fall flat. Also bear in mind that strategic plans are fluid; it is a statement of intent by the organisation as to where they want to get to and how they are going to get there. As you progress further in that journey you gain greater visibility than you had at the start, so naturally it will need to be adjusted and fine-tuned. It should also be used as a mechanism to challenge the original premise on which the plan was based. Are we as a company moving in the right direction, or does the plan need to change? Perhaps it does but the core values of the organisation should remain regardless of any changes in strategy. Honesty, respect, integrity, passion and a supportive environment – these things still matter. Product lines and services may evolve, internal operations may also change but a positive company culture based on your value system should remain in place. Effective performance management is more than just measuring the KPI outputs of the team. It also focuses on the behaviour of individuals and whether or not they reflect the values of the whole organisation. Here John Raftery discusses performance within a core competencies framework while Tricia Cunningham outlines key elements in the performance management process that all managers need to be aware of. 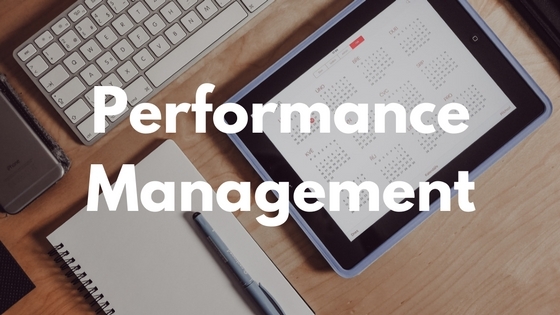 There are a number of issues with performance management. A lot of the larger companies have performance management systems and some of the complaints that are made about them is that they become tick box exercises and people don’t particularly enjoy doing them. They are often reluctant to use them to their full potential, but really good performance management systems cover two things. One is the hard metrics i.e. your outputs, your KPIs and other deliverables that can be measured. The other side of it is the side that I think people find more difficult and challenging and relates to behaviours and attitudes. Effective performance management systems will examine those through a competency framework. At the very top level of the organisation the senior management team will work with us to identify what are the core values or competencies that the organisation requires. The organisation may require three or four core competencies that can be turned into behaviours. We then identify what those behaviours are so we can begin to rate people in terms of what level they are at in relation to the core behaviours. To use time keeping as a simple example; if people turn up for work two minutes to nine and they leave at two minutes to five, this causes a lot of frustration for managers because they feel they can’t challenge the employee as they are arriving on time and leaving on time. But there are three levels of time keeping. 1. You arrive on time and you leave on time. That’s the basic entry level time keeping requirement. 2. At the next level the employee is ready to start work at 9am with all of their documents ready for a team meeting for example. And if meetings or tasks go past 5pm people are willing to stay on. They will show the same flexibility regarding lunch breaks. 3. The third level concerns flexibility, particularly when there is an emergency or if issues arise at the weekend. Are you available? You can then develop a template or framework for behaviours that you measure employees against in terms of their time keeping. But performance management means getting people to work smarter as opposed to working longer hours. You are trying to help people focus on achieving what you want them to achieve and make sure they are moving in the right direction. People at every level of the organisation should have some way to measure performance in terms of the hard metrics but also for attitudes and behaviours and to get constructive feedback from a supervisor at least once a year. A challenge for many managers with the performance management process is managing the conversation. Many worry about how the conversation will go and how they will raise “difficult” points with an employee. All examples of an employee’s performance should be discussed with the employee close to the time it occurred so that the details are fresh and can therefore be explored properly. The performance management conversation is reinforcing the comments made previously in addition to discussing important issues like future objectives or goals. Managers should regularly discuss an employee’s performance so that there are no “surprises” in the meeting regarding behaviours the employee demonstrated. Communication involves words, tone and body language. A manager needs to make sure all three elements are aligned. For example, if the message is positive then the tone needs to be upbeat and the body language engaging. If on the other hand the message is reminding the employee of the need to change behaviours then the tone and body language needs to reflect this requirement. Managers can’t confuse employees because they are uncomfortable with conveying a particular message. Practice makes perfect so managers need to practice how they will convey a difficult message. Anticipate possible difficulties the conversation might raise and consider your responses ahead of time. By anticipating your response you will be more relaxed and confident and you know how you will respond. Remain calm and focused. Isolate the issue and address that issue before moving to the next point. An employee values this conversation. This is an opportunity for an employee to really understand how the organisation is assessing their contribution. The majority of employees, and especially your top performers, are eager to discuss what they need to do to continue being valuable to the organisation. We already know many of the stereotypical characteristics of great business leaders. Many of them have become engrained in our culture such as steely determination, fearlessness, aggression and being thick-skinned. Most people don’t think of ‘detachment’ or ‘reflection’ as major features of effective leadership. Here, Mike Gaffney discusses these skills and offers leadership advice for those who want to be leaders and how to get others to buy into your vision. Most business owners have a good grasp of the daily activities and operations involved in running their business. The first challenge for them in becoming more effective business leaders is to create the space where they can step away from the phrenetic daily activities and spend time reflecting on where the business is at, and where it needs to get to. What is their vision for the future of the business? How well do they understand that vision and can they explain it in basic terms to their staff, customers or investors? The second challenge for a business leader is to develop a strong sense of detachment. Too many times we have seen business owners become too emotionally attached to the idea of the business, or the location of the business. They see their own self strongly reflected in the success of the business. This lack of detachment can adversely affect their ability to make logical decisions regarding the direction of the business. Whether its economic contraction or some particular loss-making component of the business, or addressing individuals in the organisation who are not making the required contribution, they get stuck in the mind-set that says ‘this is the way the world is.’ They then just try to work harder and hope they can work their way out of their problems. To be a good leader it’s important to develop a sense of detachment and be able to look at the business in a cold logical way to determine what is working and what isn’t and then make decisions accordingly. Once a sense of detachment has been developed there is really only one more thing the business leader needs to address. Clarity of vision is vital for bringing others with you as you move your business forward. You need to provide clarity in terms of where the business is heading and how you are going to achieve your stated aims. Unlike management, business leadership taps into the emotional triggers of the team as to why they want to invest their time and energy in the organisation. The reason clarity is so important is because people will only follow the leader who can provide that clarity of vision and knows where their future is. People want answers to pertinent questions regarding the future and your vision for the organisation. • Can I develop myself through further training? • Will there be opportunities for promotion? • Can I earn more money? • Will I be able to put my kids through college or pay off my mortgage if I stay with this company? • Is this company clear about its vision and how it’s going to achieve it? Sometimes the leader thinks they have to be great communicators or be a good ‘people person’ and sure, they are good skills to have. However, even without those skills, if the leader can provide a simple, clear and compelling vision that the whole team can understand and see the merits of, both for themselves personally and in terms of the organisation, then that’s your primary job as a leader achieved. You don’t have to be an amazing public speaker but you must explain your vision in a way that will make sense to others, so keep it simple. When they get it they are more likely to buy into that vision. There is a lazy logic that exists which says ‘leaders are born, not made.’ Well, rocket scientists are not born with their knowledge; they are made through years of study, training and development. So too with doctors, engineers or any professionals. There are management training programmes for junior, middle and senior managers. 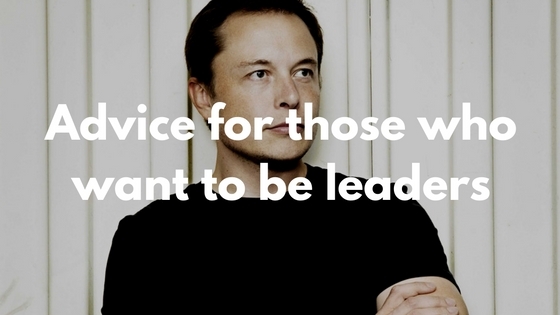 Why should it be any different with business leaders? Leadership is another skill set, another perspective on how to act and engage with the world around you and yes, it absolutely can be thought and it can be learned. A lot of effective leadership hinges on the old Greek philosophy of self-awareness, or as Socrates said – know thyself. Great leaders develop a high level of self-awareness. They know when they are having a direct positive impact on others and when they are just getting in the way and need to step back, and that takes real awareness and discipline. Executive coaching programmes can benefit business leaders of all kinds whether you run a small, medium or large company. An executive coach can offer a business owner or senior manager an objective view of their performance as team leaders as well as offering fresh perspectives on their vision for the business and where it is going. Executive coaches don’t tell business leaders how to run their companies but they do give them open and honest feedback that they can use to their advantage to improve both their individual performance and the overall performance of the business. 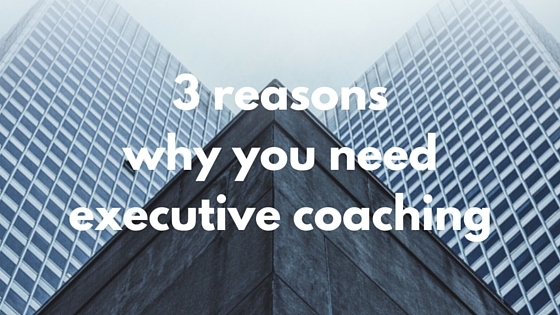 Executive coach John Raftery outlines 3 reasons why you need executive coaching and the role it plays in effective leadership development that benefits the whole organisation. The first reason it works is because to a large extent business leaders don’t get an opportunity to talk in a confidential and safe environment. The key thing is that they can use the executive coach as a sounding board. Just trying to articulate their own ideas can be a challenge for business leaders. To a large extent business leaders live inside their own heads. Then they try to communicate with their staff and it can be difficult for staff to interpret what’s in the leader’s head. Communicating ideas to staff can be challenging. They may be cautious about articulating certain issues or concerns that they might have. So the first thing executive coaching does is it gives people the ability to try and articulate what is going on inside their own heads. The second thing an executive coach does is provide feedback, and ask challenging questions of the leader as well. It’s important that the executive coach has experience, has some knowledge or background in business so they have credibility with the leader in terms of giving feedback and acting as a sounding board. The third thing an executive coach can do is inspire people to take action or prevent procrastination. A lot of leaders have particular issues that they know they need to address. But as long as it stays in their head they will never get around to actually dealing with it. But an executive coach will listen to you and challenge you and encourage you to take action. To start implementing a plan of action and set deadlines to deal with issues, and be confident that once you deal with those issues you can give further feedback to the coach. You then use that feedback to see how things have gone and decide where to go next. It’s important to point out that executive coaching is non-directional. It’s a process that allows the business leader to make up their minds and come to their own conclusions. You’re suggesting ways forward, you’re asking the leader ‘what if’ or what are the alternatives. Is there another way of looking at this or how do they feel about approaching a problem in another way? What do they think the outcome would be if they tried an alternative solution? You are not saying to the leader ‘this is what you should do.’ You can offer advice and guide people in a certain direction but ultimately the business decision rests with them, they must come to their own conclusions. So really executive coaching is about providing the space for business leaders to explore options they may not have otherwise considered and then letting them come to their own conclusions. That way they take ownership of their decisions rather than passing responsibility to someone else. They own the decision and if they own it they are far more likely to follow through and implement it. The vast majority of people in management, bar military people that sign up to it, land in management roles because of their expertise in the area they work in. There is no evidence that they are predisposed to becoming an effective manager. For example, a finance person may become a financial director because they have a background in finance, they have their accountancy qualification, they’re good with numbers but there’s no evidence that they can manage a team of people. So why do they get the promotions? It’s based on their technical competence and they are good hard workers. They understand their brief so they seem like a safe pair of hands. Most people are not hired for management roles; most people acquire management responsibilities the more they prove themselves in their particular area of expertise. Because they are good foot soldiers, they are then given management responsibilities on the back of that. There is often little or no evaluation done by the company or the individual regarding their suitability to manage. They are getting managerial responsibility because of their ability to manage their own area of expertise. What is meant by management capability? It means having the skill set, the confidence and the awareness to be able to manage yourself, and manage the team you work with to ensure the company achieves the right outcomes. For example, the good salesperson who ends up becoming a sales manager. They are naturally good at hunting down potential customers and opportunities, and going down every avenue to make that sale. But when they become managers their natural hunting abilities are not required. They are now required to help people on the team who may have less experience and less ability than themselves. They must support them and coach them, but they are naturally more inclined to think in terms of sales and ‘going in for the kill.’ That hunting mind-set is poorly suited to the mind-set of supporting, mentoring and coaching teams who are not at the same level as you are. So they are out of sync with the capability level of the team, but the company who chose them are basing their decision on the last five years of sales which were good so we’re making you sales manager. There is no thought given to the question of what skill set is needed to effectively manage a team. The person may have the mind-set of a sales ‘warrior’ but is that the correct mind-set for helping individual team members to become effective in their roles, and supporting them throughout their development? People can flounder and get very frustrated, and the company can get very frustrated with their lack of performance but that’s because they are a square peg in a round hole. People must take responsibility. The buck stops with the person who appoints people to management roles without proper evaluation of their management capabilities. What should happen before someone is appointed to a management position? The first thing is to clearly define the objectives of the role. Then decide how you are going to measure if someone is doing a good job or not. Identify what behaviours come naturally to them, then outline the key behaviours that you need to see someone demonstrate in the role. Are they good at dealing with people on a one-to-one basis? Are they good at confronting them when they are performing poorly, or their behaviour becomes unacceptable? So it’s about people management skills and the behaviour of managers in keeping with the values that are critical to the organisation. Has the potential candidate demonstrated the wherewithal to support those values through their behaviour? Have they got the flexibility, the adaptability and the decision-making capability to align with company values and fit the managerial role? Their values and behaviours as managers will in turn effect the organisation as a whole. What happens when business owners or senior managers choose the wrong person for a managerial role? Well it’s very stressful for all concerned. It’s stressful for the individual who has been dumped into a management position. They are trying to prove themselves to the company and they sometimes behave in a reactionary way towards team members who are not performing well. They don’t respond in a healthy way; they don’t give people the space or time or proper support they need to improve. As manager you need to find ways to effectively engage your team members, and not just keep banging on the table because you feel under pressure to prove yourself. Becoming a manager is often an ‘accident’ imposed on an individual who is ill prepared for the role, selected by senior staff who have not gone through a proper evaluation process. So it ends up becoming a very stressful situation all round. But if someone is already in the role and they are clearly not a good fit, what should happen then? Well usually it’s a case of the manager not fitting well as opposed to being the wrong fit entirely. The person has an understanding of what needs to be delivered in terms of the business; the challenge is how to get the team to do it as opposed to doing it themselves. 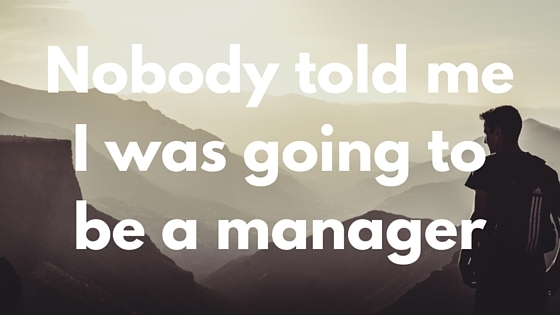 Nobody told me I was going to be a manager but you are a manager now, and you have to step up to the plate. First you must increase your self-awareness and how you communicate with the people around you. In the past you focused on being right, but now as manager you have to focus on getting the right outcome for the company. You can no longer be happy to be right all the time; you must now focus on getting a team of people to achieve consistently good results. The emphasis is now on the team’s performance not on you as an individual. So the new manager needs to develop a new mind-set. Absolutely, and of course you can acquire new skills and knowledge. You can work on communication skills or time management or conflict management, but it’s crucial to adapt the new mind-set first. You have to be clear that you are no longer here to show how good you are at sales but to lead a team. You have to think, I am here to get the most from my team and get the best outcome for the company. The more effectively you can change your mind-set and adapt to a new way of doing things in your work environment, the better chance you have at being successful as a manager. And it’s ok to make mistakes and get some things wrong if it’s within the context of your new role as manager. You test objectives and find that some worked and others didn’t, and you take time to reflect on those outcomes and understand why they did or didn’t work. Through that process you are acquiring the new skills necessary to be an effective manager. Mike Gaffney is managing director at LEAP. Tricia Cunningham discusses management development, the crucial link between human resources and economic opportunity, and why it plays such a vital role in the long term success of organisations. 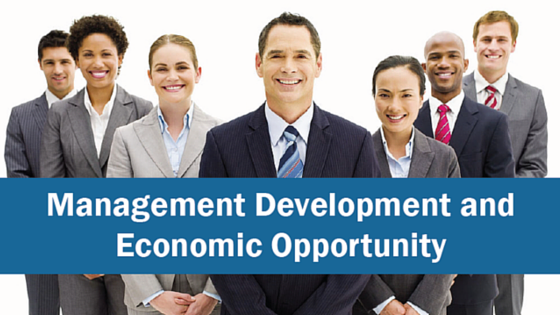 Tricia, why is it critical for companies to invest in management development? Now that the economy has started to turn in a positive direction, the skills that employees currently have may not be the skills that will allow them to help an organisation grow, and maximize business opportunities that are carved out through hard work. Over the last number of years the focus for many organisations have been doing what’s needed to get ahead one step at a time, but now that things are improving and opportunities are opening up, people and organisations will need to start thinking differently and incorporating new skills to maximize those opportunities. What business supports should senior managers and business owners consider? (1) First, organisations should start thinking about what requirements their organisation will need over the next eighteen months, and mapping out the skills needed to deliver on those requirements. From that they can start to consider and assess their employees against those requirements. They can then determine the best way to develop a new set of required skills. There are many different approaches to developing people from formal training programmes to giving employees the opportunity to work on new projects. (2) Secondly, over the last number of years managers have been working in environments heavily focused on cost reduction with few resources available to them. So the focus has been on the technical deliverables; delivering to the specific requirements of customers and getting paid. Now that things are changing again, managers need to understand that how they manage a team and interact and guide a team is vitally important to the long term future of the business. People skills are critical to that future so it’s not sufficient to focus only on the technical aspects of the job. (3) Thirdly, we have to recognise that if the economy continues to grow as it is with a current unemployment rate of 8.6, having dropped from a peak of over 14, it is becoming more of an employee market. If that rate continues the organisations that don’t invest in employees and help employees to develop their skills will lose those key employees. Generally speaking, employees who work in an organisation value opportunities to develop and enhance their skills. Investment in them and developing those skills can have considerable payback in terms of commitment, loyalty and a desire to do more, deliver more and assist the organisation to grow. So owners and leaders need to consider development as an investment. Before any training begins, they must agree with the employee the skills to be developed and how the organisation expects the individual to demonstrate those skills back at work. In this way the leader can see that development is no longer a cost but a sound investment. By focusing on developing the skills of key individuals, organisations are better positioned to grow and retain key employees who have assisted them in the harder times and are also equipped to maximize the new opportunities. Managers need to be supported in developing the key skills to manage people effectively; learning from their experience isn’t sufficient. It’s about understanding management best practices and determining how they can be applied in the organisation so that organisations are developing strong competent teams that can work effectively together and with the manager; a team who respects the manager and learns from the manager. When an individual works in an organisation there isn’t always the expectation that by participating in management development programmes they are going to climb the rungs of the ladder, but rather they are enhancing the skills they have. They are broadening their knowledge and broadening the opportunities they have to do different types of work. That is also development and this is often very satisfying for an employee. When you work in the SME sector you know there are few opportunities to climb the rungs because there are very few rungs on the ladder to begin with. And if you work in a large organisation you need to be careful not to give the impression that development is all about climbing the ladder because when an opportunity presents itself, six people may go forward for that opportunity but only one person can secure the role. What happens to the other five candidates? How are they to be managed so they don’t become deflated and believe that there are no opportunities in the business? They need to understand there are opportunities to develop skills that are still very valuable and will ensure they remain employable and valuable to the organisation. They need to know they can continuously contribute to the organisation and that’s why investment in their development is important. Shouldn’t organisations continuously develop staff whether the economy is good or bad? Yes but when organisations have experienced the kind of recession that we had, one of the first things that gets cut is training and development for staff, because during a downturn development is too costly for a business. Now that many businesses are in a position where they can make some investment in their people again, they need to consider the supports available out there, like government funded supports to help them develop their team. These business supports ensure the cost isn’t borne fully by the organisation particularly for those that may not yet be in a position to do so. But if they can bear some of the cost, government agencies will step in and provide further funding and support. Can you give an example of business supports that are available? There is a strong organisation called Skillnets that are located around the country and their remit is to provide support for organisations seeking to develop their people. Skillnets will supplement part of the overall cost of the training and development in-company, but Skillnets will also provide open programmes for people at a reduced cost per employee. These two options for the organisation should facilitate them in developing their teams further. Larger organisations like Enterprise Ireland have grants available as part of overall programmes that focus on efficiencies in organisations. As part of that there are various LEAN programmes and training and development falls within the remit and scope of those grants and business supports. What management development supports do LEAP offer organisations? LEAP recognises the need for strong leadership, effective management and engaged employees in organisations. From our 15 years’ experience of working with companies we have put together programmes that focus on developing the core skills of these three groups. Additionally we look at operational effectiveness to ensure that not only are the people working effectively, but that they are focusing on the right things and doing them right. How is your organisation preparing for economic recovery? Let us know with a comment below. The Scottish writer and historian Thomas Carlyle once said ‘no pressure, no diamonds.’ When under pressure some business leaders may indeed perform better and get better results, but some leaders respond to pressure by isolating themselves. 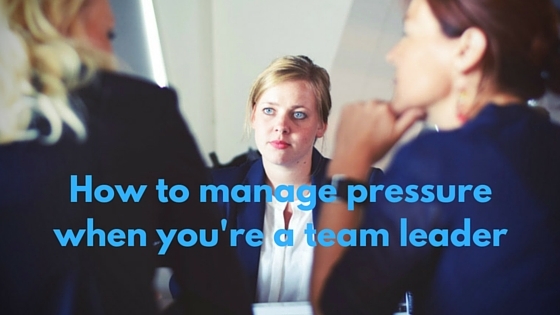 To understand how to manage pressure when you’re a team leader I spoke to LEAP’s Mike Gaffney. Here he explains how internal and external support systems are vital for helping the isolated leader to manage pressure and avoid isolation. Mike many business owners find themselves isolated in their position as leader. How does this happen and what can be done about it? 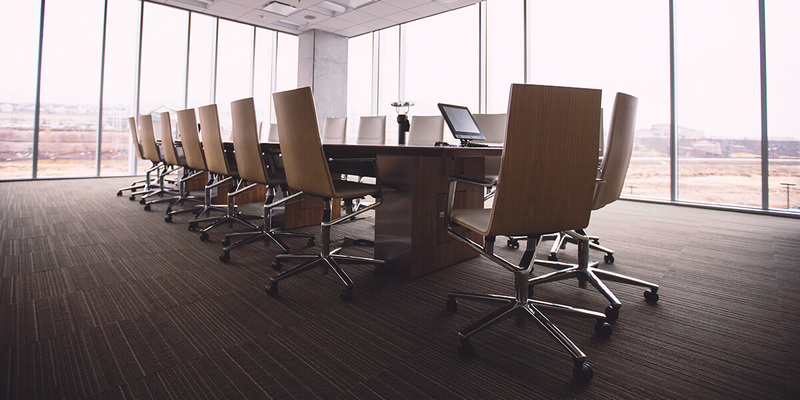 The first thing to recognise is that isolation is very common amongst business leaders, and can be a very tough and debilitating place to be. It can become the natural habitat for the business owner, because they feel they have to make all the decisions. They have the responsibility and pressure of keeping the business afloat; they have to keep a brave face so their staff don’t worry even more. They have to deal with making sure everybody gets paid and bills are paid and banks are kept at bay. They can’t turn to the people working for them because they feel they are the leader, and they have to have the broadest shoulders in the organisation. This can create considerable pressure that can be more debilitating than the actual issues they are facing. Should business leaders share the pressures they face with the team around them? Yes is the answer… they should. As the owner, if you walk into the office with an angry face because you just had a meeting with the bank, and things are not looking good, you may not say anything to the team but they know that things aren’t good. If you bottle it up and internalise the problem, you are just making things worse for yourself and the team around you. There is a phrase that goes ‘people prefer the certainty of pain to the pain of uncertainty.’ If your team are not sure about the difficult situation they are in, and what they need to do to get out of it, that uncertainty creates a greater fear factor. It immobilises thinking and immobilises action on the part of the team. It’s not a new idea. Jim Collins said it in Good to Great, ‘confront the brutal facts.’ It’s important to get your team on board and the starting point is to let them know how serious the situation is. Once people are included in addressing the problem you will be amazed how quickly they commit to developing solutions, and driving those solutions through and making them work. So the right response to isolation is to be more open with your management team? The second thing about having someone external to talk to is they can help you to start thinking more strategically as a leader. Consider what the business can do and what opportunities are out there. In any time of significant change, be it significant growth or significant decline, there are always opportunities. But you need to have your antennas up and be receptive to what those opportunities are. Is participation in a leadership programme a sign of the openness and external support you speak of? It’s more focused than that. Yes they have to be open to internal and external support, but they also have to be willing to recognise their own fallibility and their own requirements. Nobody can do everything; business leaders need help to address the areas where they are not great, so really it’s about reaching a level of maturity. In the leadership programmes we deliver, it’s about helping the owner to find ways to be more effective. A big part of that is opening up and collaborating internally and externally with people who can make you more effective as a leader. You may have heard the term Personal Effectiveness Programme or Personal Development Programme, but what exactly are they and who are they for? Is there an employee at your company you feel has the potential to contribute more to the organisation? Maybe they have the key skills to do their current job but lack the confidence to move up to the next level within your organisation. Mike Gaffney is adamant that with the right support system in place, those employees can learn new skill sets that will increase their personal effectiveness and help them transition into a leadership role. Here’s where a personal effectiveness programme comes in. When we discussed the Capability Development Framework (CDF) with business leaders around the country we looked at the area of personal effectiveness for the general workforce. They said ‘yeah we should do something there,’ but they were a little hesitant. However once they introduced the idea to the general work force, universally the response was fantastic. The sentiment is ‘finally we get a chance to develop our skills and knowledge.’ They also appreciate the fact that it’s a certified training programme, assuring them that the programme is run in a very supportive and professional manner. During the workshops time is allocated to help people acquire the certification, so the enthusiasm and commitment of participants in the general workforce on these programmes is a joy to behold. When it comes to motivated and engaged workers it’s not about the amount of money they get. It’s about addressing key questions; am I respected here? Are my thoughts and ideas being listened to? Do I belong in this organisation? The Personal Effectiveness programme is saying to them; not only do you belong but we want you to develop your skills, your knowledge and your capabilities and become a critical and important contributor to the ongoing development of our organisation. Who is the personal effectiveness programme for? The usual participants are the people directly below the first management tier. They are people with potential who could, in a relatively short length of time, progress into a management role. They are key people in the organisation who have important responsibilities, but are not in a management position yet. They are the most common type of employees that companies are sending forward for the Personal Effectiveness programme. So staff members with the potential to be future managers of the business. What they currently do as individuals is critical for the organisation, but management have recognised their potential to contribute even more and progress further within the company. What will the programme do for participants and their organisation? It will greatly increase their confidence and their willingness to actively contribute ideas to the organisation. For some people there may be great potential but also a slight lack of confidence in stepping out beyond the boundaries of the role they currently have. This programme addresses that lack of confidence. 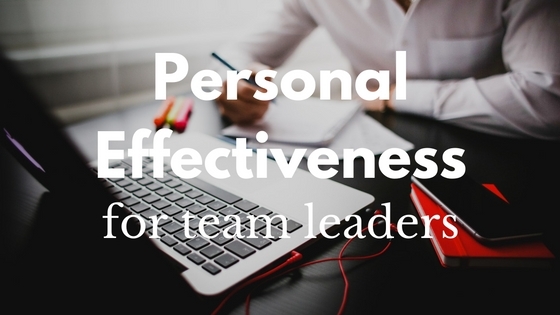 Why should an organisation invest in a personal effectiveness programme? Because despite our best intentions, each of us can become stagnant or stale in our current roles. We see the world in a certain way and we become comfortable with the way things are, because this is how they’ve always been done. We tend to slow ourselves down with these artificial constraints we place on ourselves. The programme helps people to freshen up and learn new approaches, new ideas and new skills. It’s a more natural way to re-commit to a company and re-engage with the daily activities in a more thoughtful manner. Yes, it comes with the Quality and Qualifications Institute (QQI) Level 5 certification. There are typically 4 one day workshops covering the key areas; managing self, time management, working with internal customers, and effective team player. Running in parallel to the workshops there are specific assignments that have to be completed. There is also ongoing mentoring support from LEAP’s business advisors and executive coaches, to ensure each participant can successfully submit the body of work required for certification at QQI Level 5. How do you go about developing a visual management system within your business? In our continuing series of visual management training articles, John Raftery delves deeper into the process of visual mapping. Here he discusses how management teams can use visual tools to help them display company goals and the actions that underpin them. Visual aids such as Gantt charts and bar graphs keep management teams focused on strategy and accountable for results. ‘I work with management teams and generally what we start with is getting the top 3 – 5 goals of the company articulated. Then under each of those goals we would discuss the strategies needed in order to achieve those goals. The strategies then have to be turned into clear lines of action. If you can imagine a large whiteboard or notice board that has lines of action, as in the form of a Gantt Chart. On the left hand side you have the lines of action, in other words the actions that need to be taken in order to achieve the top level goals. The next column will list the owners of those actions, in other words the people responsible for implementing the agreed actions. There may also be a timeline that could be divided up into 52 weeks or 12 months or whatever is appropriate for that particular team. The chart will show when the various actions are going to occur, and you can flag the actions with a colour coded ‘traffic light’ system. Green means that the action is on target, orange indicates that the action is in difficulty or has been delayed or is still in progress, and red flags indicate the action has not been completed within the time frame agreed.